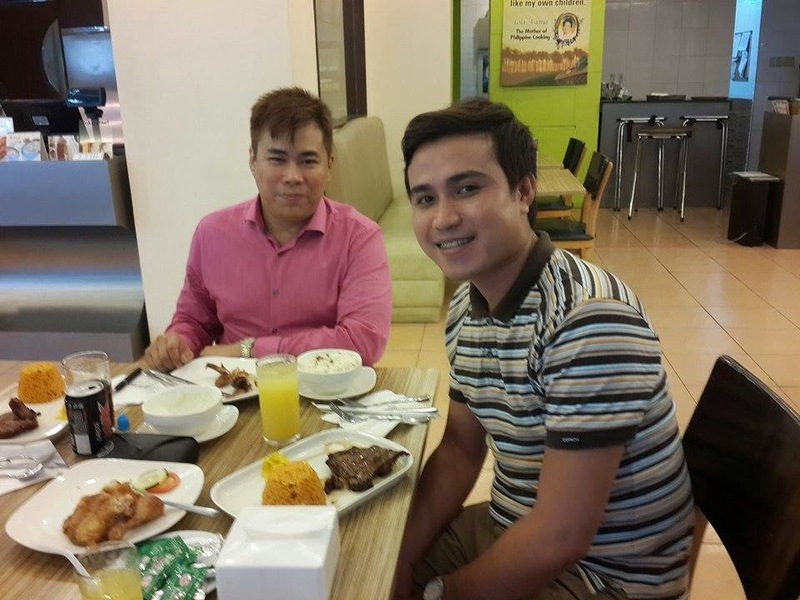 Who would resist the tempting invitation of the grandson of one of the famous restaurateurs Engracia "Aling Asiang" Reyes, known as the owner of the iconic Aristocrat Restaurant? Well, passport to this breakfast feast is also no other than Alexie who is admittedly in love with one of my team members, Charlene. Pause. In as much as I would want to focus on their fairy tale-like love story, I opt to turn my inking to the food fit for royalty (like me? harhar). We did a visit to their Jupiter St Branch in Makati. The touch of green brought nothing but utmost relaxation. That was really soothing for my eyes which was strained by the eight-hour shift. It is fact that a portion of its market are the key players and people of the corporate district of Makati. I easily spotted people I usually see in the Starbucks--those group with someone talking while a presentation on a laptop is being shown to like two to three other people. I don't know if it was just caused by the morning breeze of fresh and cold air but I totally find the place comfortable and stress debugging. The building is 2-storey and the upper level is usually reserved as function hall for events and parties as they also offer catering services to those. To treat the customers like her children--that's clearly readable from a poster hanging on the wall bearing the picture of the owner. The service was personalized and more than being friendly, staff are polite enough to wait for your order. The royalty-feel will be yours at the most affordable prices. Meals, ranging from breakfast to dinner (well, yeah they are operating 24/7) are pegged at prices you would truly love. My personal choice that time would go for a boneless chicken meal (Php190). 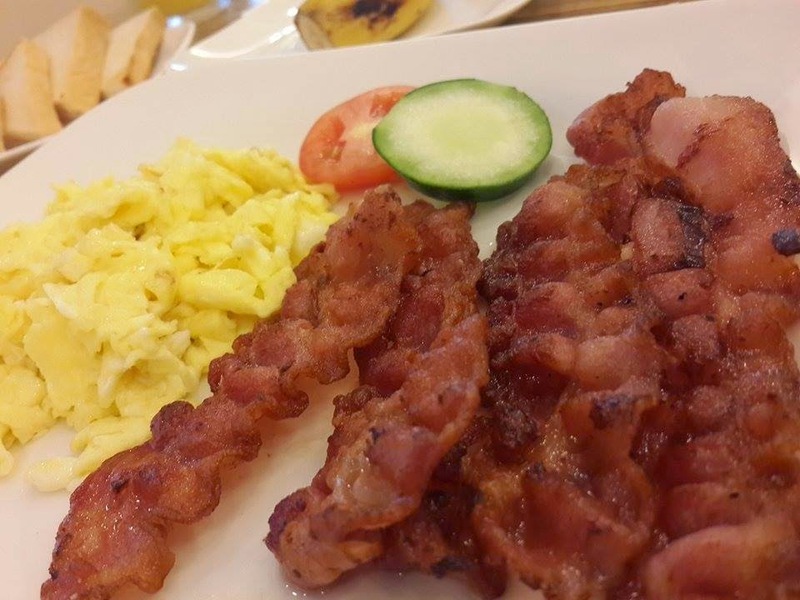 Hearty breakfast you can have from these wide array of options: Tocino Plate (Php255), Longganisa Plate (Php255), Daing na Bangus Plate (Php255), Beef Tapa (Php270)and Longganisa & Chicken Pork Adobo Plate (Php270). All meat recipe goes as the following: 3-pc chicken barbeque (Php210), Pork BBQ (Php175), Pork Spareribs (whole at Php345, half Php195). 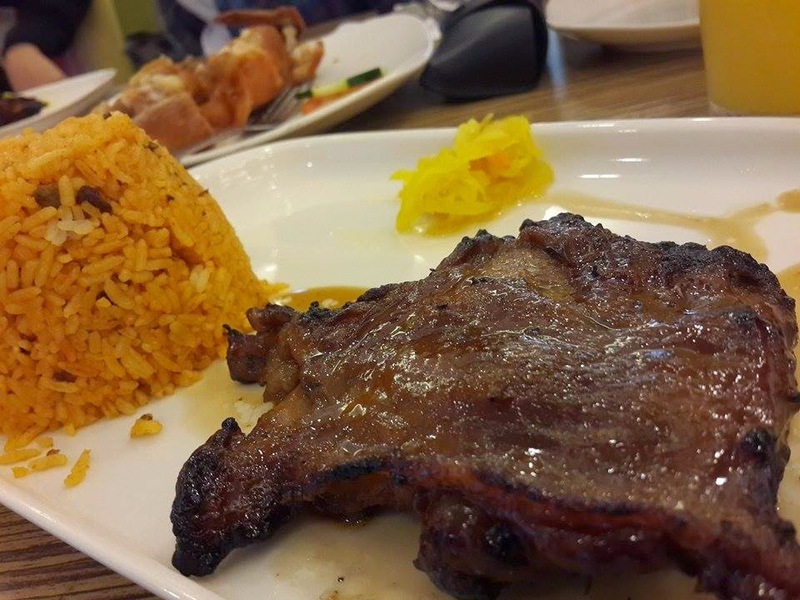 Crispy Pata, Sisig and Sinigang are just also some of the house's sepcialties that you should dare try! In a diet? Up to grab a light meal? 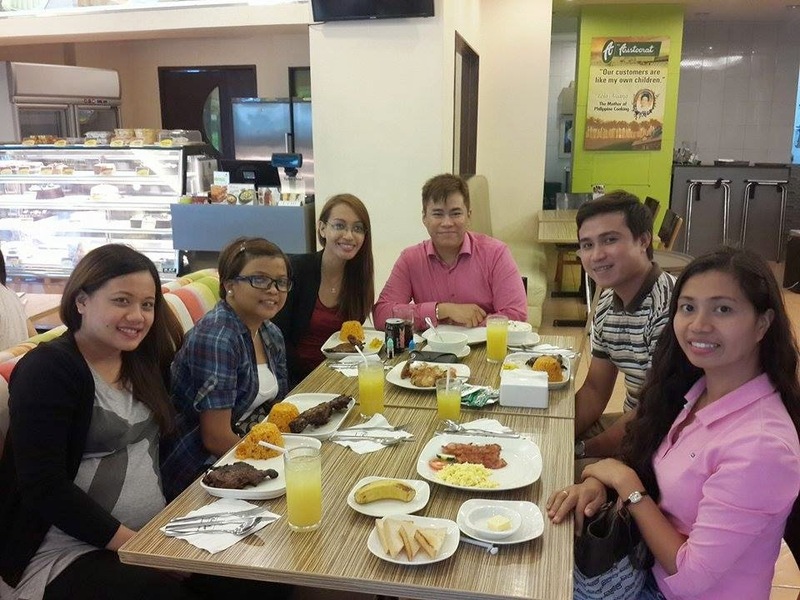 Aristocrat also offers sandwich and merienda favorites. Mouth-watering desserts such as halo-halo, buko pandan, lecehe flan they serve as well. Hmmm... that's summer all-year long for that halo-halo special (my fave summery food). 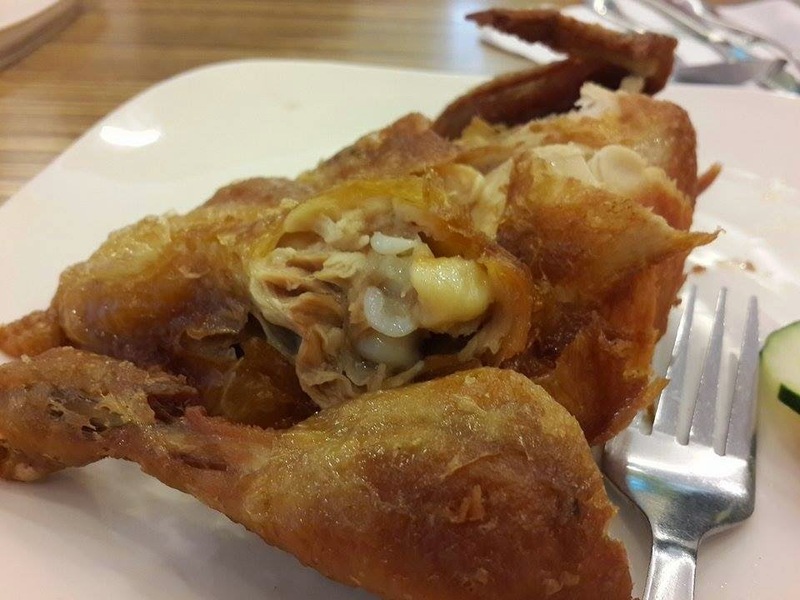 Truly, Aristocrat is a hub of food juxtaposed with bric-a-bracs of its humble beginnings, good service and eye-wowing presentation.